Elvira C. King was born in 1813. She married Almon Holcombe, son of Bethuel Holcombe and Deziah Holcombe. Elvira C. King died in 1901. She was buried at Sherburne Quarter Cemetery, Sherburne, Chenango Co., NY. Willis Irving Wells married Livonia Richardson circa 1883. [S336] Ancestry.com, Ancestry.com. 1850 United States Federal Census [database on-line]. Provo, UT, USA: Ancestry.com Operations, Inc., 2009. Images reproduced by FamilySearch. Year: 1850; Census Place: Harrisville, Medina, Ohio; Roll: M432_709; Page: 177B; Image: 53. [S623] Jeff Fort, "Duel Holcombe," e-mail to James H. Holcombe, 19 February 2007. [S182] Social Security Death Index (on-line), Ancestry.com, SSDI, Ancestry.com, SSAN 047-24-7822. [S633] Franklin Kruger, "William Horace Holcomb, Jr."
Gideon Cheuvront was the son of Joseph Cheuvront and Elizabeth Ellsworth. Gideon Cheuvront married Phoebe Post. Mary Elsie Moore was born on 22 October 1889 at Brooklyn, New York, USA. She was the daughter of Charles Arthur Moore and Mary L. Campbell. Mary Elsie Moore married Marino Torlonia 4th Prince of Civitella-Cesi, son of Giulio Torlonia 2nd Duke of Poli and Guadagnolo and Teresa Chigi-Alabani, on 15 August 1907 at Old Orchard, Belle Haven, CT. Mary Elsie Moore died on 21 December 1941 at NY at age 52. Peter Clark was the son of Dr. Asaph M. Clark and Rebecca Mason Nichols. Peter Clark died on 16 April 1847; in infancy. Franklin Delano Roosevelt Jr. was born on 3 March 1909. He was the son of President Franklin Delano Roosevelt and First Lady Anna Eleanor Roosevelt. Franklin Delano Roosevelt Jr. died on 7 November 1909. [S182] Social Security Death Index (on-line), Ancestry.com, SSDI, Ancestry.com, SSAN 398-20-7162. Louisa Betsy Case was the daughter of Luman Case and Betsy Humphrey. Harriet Louisa Holcombe was born on 9 December 1854. She was the daughter of Humphrey Holcombe and Emaline C. Smith. Harriet Louisa Holcombe died on 30 March 1875 at age 20. Lorraine Holcombe was the daughter of Howard C. Holcombe and Helen Jean Hunter. Lorraine Holcombe died. Jessie Wodrow Wilson was born in 1887. She was the daughter of President Thomas Woodrow Wilson and First Lady Ellen Louise Axson. Jessie Wodrow Wilson died in 1933. James Harding was born on 11 July 1837 at KY. He married Nancy Jane Porter. James Harding died on 20 January 1903 at Franklin, Johnson Co., IN, at age 65. Death cert says he is born 1850 but 1900 census says 1849 and on the 1850 census he is aready 1 year old. 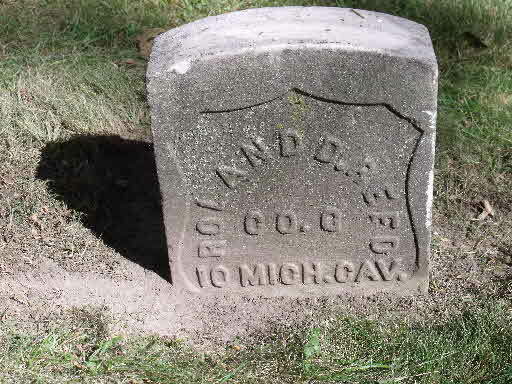 [S807] Find A Grave, online http://www.findagrave.com, Find A Grave, database and images (https://www.findagrave.com : accessed 13 May 2018), memorial page for Roland Dwight Reed (23 Sep 1850–22 May 1909), Find A Grave Memorial no. 98422248, citing Garfield Park Cemetery, Grand Rapids, Kent County, Michigan, USA ; Maintained by MZylstra (contributor 47862775) . Jasper Newton Brewer was born on 17 May 1906 at Wayne Co., TN. He married Mattie Corrine Bromley, daughter of Thomas Carroll Bromley and Mary Chappell, on 9 November 1926 at Wayne Co., TN. Jasper Newton Brewer died on 5 May 1977 at Waynesboro, Wayne Co., TN, at age 70. John Harvey Skinner was born say 1789. He was the son of John Skinner and Anna Harvey. LeRoy VanArsdale was born on 9 June 1880 at IN. He married Alta E. Harding, daughter of James Harding and Nancy Jane Porter, on 29 April 1903 at Shelby Co., IN. LeRoy VanArsdale died in February 1966 at Waldron, Shelby Co., IN, at age 85. Thomas Skelly McDowell was born on 6 April 1849 at Franklin, Venango Co., PA. He married Jennie Day on 19 July 1865 at Dunkirk, Chautauqua Co., NY. Laura Lee Simmons was born on 7 May 1930 at Chicago, Cook Co., IL.1 She was the daughter of Clark Washington Simmons and Muriel Florence Spiegel.1 Laura Lee Simmons died on 10 June 2012 at Newington, Hartford Co., CT, at age 82.